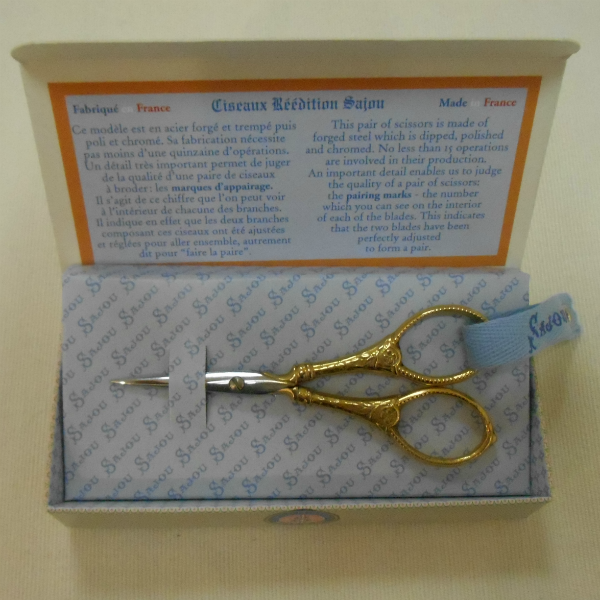 Beautiful embroidery scissors from Ciseaux Reedition Sajou. "This pair of scissors is made of forged steel which is dipped, polished and chromed. No less than 15 operations are involved in their production. An important detail enables us to judge the quality of a pair of scissors: the pairing marks - the number which you can see on the interior of each of the blades. This indicates that the two blades have been perfectly adjusted to form a pair."